Viacom characters in soft toy forms are lovable and kids like to treasure them, especially if it's the Patlu. 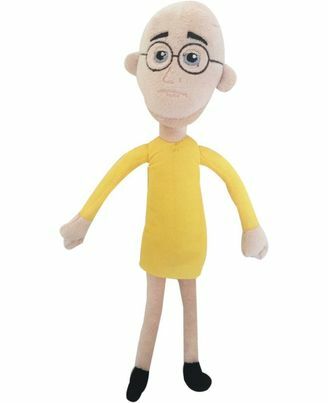 This soft toy is a replica of the actual character and is made of velvety soft cloth that has soft material stuffing inside, making it fluffy and cushiony soft. Playing with this toy will help in the emotional development of your children and also improve their role play, communication as well as touch and feel skills. Kids will have fun time playing with friends or all alone accompanied by this plush toy.